To assess the dimensionality and psychometric properties of the modified Yale Food Addiction Scale 2.0 (mYFAS 2.0) in an Italian non-clinical sample. 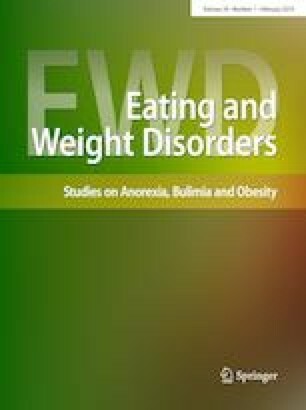 262 adults (184 women) were administered the Italian versions of the mYFAS 2.0, and questionnaires measuring binge eating severity, anxiety and depression symptoms, and emotional dysregulation. 15 individuals (5.7%) met the criteria for a diagnosis of food addiction according to the mYFAS 2.0. Bayesian confirmatory factor analysis supported a single-factor solution for the mYFAS 2.0. The mYFAS 2.0 had good internal consistency (Ordinal α = 0.91), and convergent validity with binge eating severity (r = 0.67, p < 0.001), both anxiety (r = 0.31, p < 0.001) and depressive (r = 0.35, p < 0.001) symptoms, and difficulties in emotion regulation (r = 0.35, p < 0.001). Finally, both discriminant validity with dietary restraint (Gamma = 0.11; p = 0.52) and incremental validity in predicting binge eating severity over emotion dysregulation and psychopathology (b = 0.52; t = 11.11; p < 0.001) were confirmed. The Italian mYFAS 2.0 has satisfactory psychometric properties and can be used as a brief instrument for the assessment of addictive eating behaviors when time constraints prevent the use of the original version. This article is part of topical collection on Food Addiction.